I’ve been wanting to post something about fitness because it’s a huge part of who I am. At least, I like to think so. I’m not a gym rat by any means but I do attend the gym minimum 3x a week and do something active the other days (most of the time). But, like most people, I also get in a rut. The gloomy weather always messes with my groove and I lose my fitness routine. On top of that, because I’m not a morning person, I have to balance my evening social life with my workouts. It’s tough y’all. 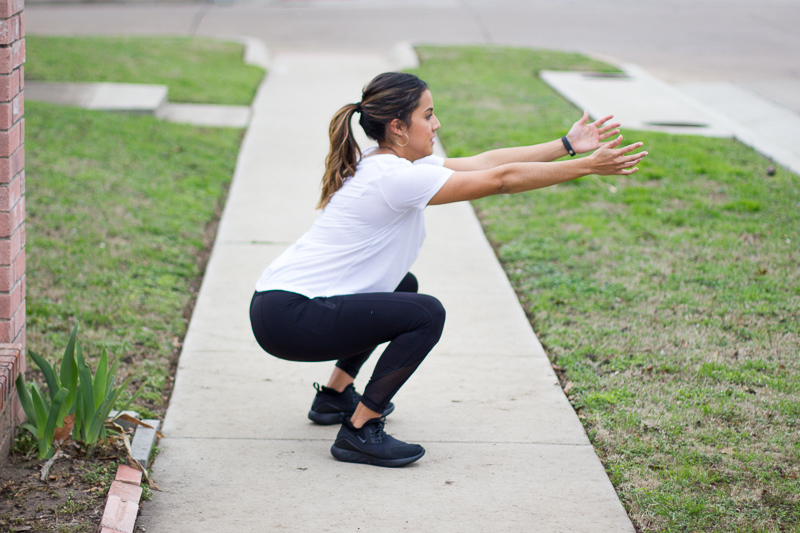 In order to stay moving, I’ve come up with a few tricks that help me get back into a routine. I have no idea if that is programmed in the correct order but it gets me moving. When trying to get back into a workout routine, make it easy enough where you won’t give up but still challenging that you’re not bored. I would suggest getting a kettlebell too. Those are awesome for quick burners. No excuse. Walking your dog is great for bonding and gets you both moving. On days where I’m totally out for the count, I’ll take Chico on a walk. It’s not vigorous activity but it’s better than nothing. It also helps adjust my mindset. The longer the walk, the more I remember how good I feel after the gym. It’s like my mind starts remembering what it feels like to release endorphins. The clothes isn’t going to wear itself. I purposely buy myself cute workout clothes to get back into the gym. When I’m in one of those moods, I’ll seriously find any excuse to stay out of the gym. “I don’t have any workout clothes...” is one of them. I don’t use this tactic often but it sure does help. I love feeling out how my new athletic wear holds up during a workout. If you workout 3x a week, buy yourself x. For me, it’s food. I know this is terrible and the fit fam would kill me—but I’ll bribe myself with food sometimes. I’ll make a goal of actually going to monster mash Monday at my gym and reward myself with NY style pizza afterwards. Sue me. When I’m really in a rut —like during winter—I’ll reward myself with a high ticket item I’ve been wanting. “Christian, if you go to the gym you can buy yourself those jeans you’ve been wanting.” And, I go to the gym. I do want to note that I think it’s very important to find the balance that works for you. Make your goals achievable so you can get a win every week. Don’t be too hard on yourself either. Remember that fitness is a journey and should be part of your lifestyle. Are there are any tricks you use to get yourself back into a fitness routine?